An Air Source Heat Pump is a device that takes low grade energy from the air and converts it into useable heat that we can use to heat our houses or water. Air Source Heat Pumps use electricity but not as a fuel but to power the process by which they convert the low grade energy into heat. Because of this Air Source Heat Pumps are able to be highly efficient as they may only use a quarter of the electrical energy compared to the amount of heat energy they create. Air Source Heat Pumps are designated as a renewable technology as the source from which they draw energy, the air, is replenished by the sun every day. Air Source Heat Pumps can be used in a large range of applications, as the three examples of Air Source Heat Pumps below demonstrate. There are also a number of examples of applications of Air Source Heat Pumps in a Case Studies section. Air Source Heat Pumps offer running costs of up to 60% below traditional systems enabling you to heat your home for less cost with no local emissions into the environment. Air Source Heat Pumps are much smaller than Ground Source Heat Pumps units and can be installed into a space vacated by an old oil or gas boiler very easily. We are fully accredited Air Source Heat Pump Installers. 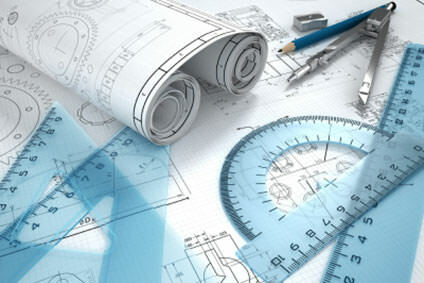 We offer a full design and installation service for Air Source Heat Pumps starting from an initial site survey, full heat load calculations, provision of a fully specified quotation and then installation and handover plus any ongoing maintenance requirements needed for your Air Source Heat Pump system. 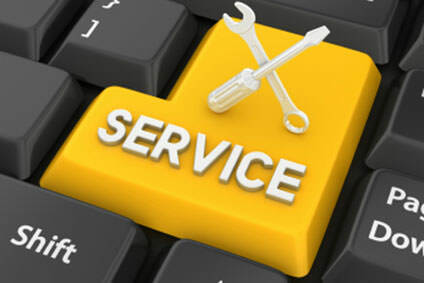 We provide this service Free of Charge. The full Air Source Heat Pump installation is managed by us through all of these stages to ensure minimal disruption. All of our Air Source Heat Pump installations are eligible for payments under the Renewable Heat Incentive, RHI, when it is launched. There are many benefits to the use of an Air Source Heat Pump, when compared to the installation of a Ground Source Heat Pump unit even though they have a marginally lower efficiency level. Air Source Heat Pumps do not need any ground work to be undertaken, they can be installed into a far smaller physical space thus allowing their use in many situations where a Ground Source unit could not be accommodated. The three sections below give further details of the three main types of Air Source Heat Pump installation available. An Air Source Heat Pump Split system offers complete flexibility for both new build and refurbishment projects. 1. Solar thermal systemThere is an option to connect this Air Source Heat Pump system with solar panels to create a fully renewable installation. This system fits directly onto the standard water cylinder and is controlled by the heat pump to form a single integrated system. The heat pump will not run if there is solar energy available. 2. Heat emittersThis Air Source Heat Pump system can work with low temperature radiators, underfloor heating, fan coils or heat pump convectors. Like all heat systems best results are obtained with underfloor heating for which we also offer a full design and installation service. 3. Outdoor unit optionsThe outdoor unit of the Air Source Heat Pump extracts energy from the outside air and transfer this to the indoor unit. This can be located up to 70 metres from the indoor unit. There are a range of units available to suit all installation requirements with outputs varying from 4 to 16 kilowatts which can be coupled together for larger properties if required. 4. Indoor unit optionsThe indoor units of the Air Source Heat Pump can be wall hung or floor standing and are matched to the outdoor unit specified. The refrigerant pipework from the outdoor unit connect to the indoor unit and enable the unit to generate up to 55 degrees. The unit contains a booster heater which can supplement the system capacity if required. 5. 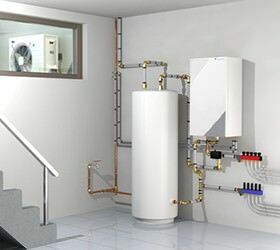 Hot water cylinderThe hot water cylinder of Air Source Heat Pump is specially designed to maximise hot water supply and comes in a range of sizes to suit all needs. This type of system uses water temperature sensors rather than thermostats to provide more accurate control and reduced running costs. We offer a full design and installation service for this type of Air Source Heat Pump, please call now for further details. When there are internal space constraints an Air Source Heat Pump Monobloc system offers a perfect solution as it combines all the main hydraulic components in a single outdoor unit. The system simply plugs into the house using water pipework between the unit outdoors and the internal pipework. 1. Solar thermal systemWhen there are internal space constraints an Air Source Heat Pump Monobloc system offers a perfect solution as it combines all the main hydraulic components in a single outdoor unit. The system simply plugs into the house using water pipework between the unit outdoors and the internal pipework. 2. 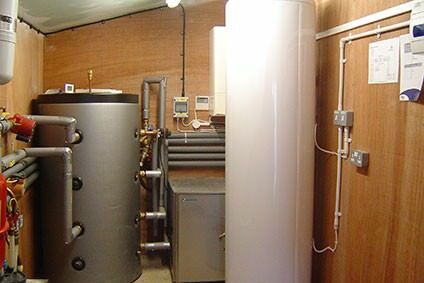 Hot water cylinderThe hot water cylinder of the Air Source Heat Pump is specially designed to maximise hot water supply and comes in a range of sizes to suit all needs. This type of system uses water temperature sensors rather than thermostats to provide more accurate control and reduced running costs. 3. Outdoor unitAll of the elements required for the Air Source Heat Pump system are packaged into the single outdoor unit, inside there is a control panel and the water cylinder. This approach minimises the internal space required but does mean that the unit needs to be close to the house. 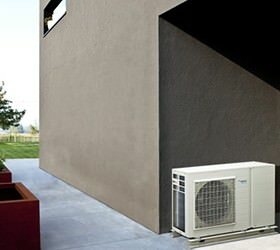 The split Air Source Heat Pump system allows far more flexibility in the distance of the outdoor unit to the property. The High Temperature Air Source Heat Pump unit is ideal for retrofitting into existing properties that have existing heat emitters designed around higher flow temperatures. The high temperature Air Source Heat Pump unit can deliver flow temperatures of eighty degrees even in an ambient temperature of minus twenty. In older or harder to heat properties, you need a system that reliably delivers higher water flow temperatures of up to 80°C thus avoiding the need to replace the whole radiator system. The High Temperature Air Source heat pump system provides this. 1. Outdoor UnitThe outdoor unit of the High Temperature Air Source Heat Pump extracts heat from the outside air and transfers it to the indoor unit via refrigerant piping. This unit is available in three sizes which are matched to the property. If necessary these units can be coupled up to provide additional capacity. 2. 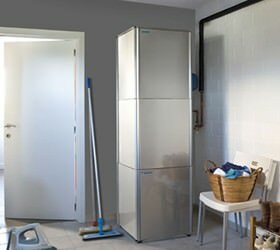 Indoor unitThe indoor unit of the High Temperature Air Source Heat Pump takes the low grade energy from the outdoor unit and boosts it up to a potential 80°C, the same as an oil or gas boiler. This high heat output will match to existing radiator systems avoiding the need to change all of the radiators. 3. Unvented domestic hot water cylinderThe unvented domestic hot water cylinder can be stacked on top of the indoor unit, thus saving space and is available in two different sizes.